“Le Sommelier” prized by connoisseurs, is the result of a collaboration between FORGE DE LAGUIOLE and a group of professional wine waiters (sommeliers). Its ergonomic design, elegance and functionality won it the coveted prize Design Plus in Frankfurt, Germany. The conical screw with its 5 turn grooved spiral assures perfect penetration in the cork. The lifter is molded in the foundry and designed for ease of use and intensive long-term utilization. The bee, symbol of the Laguiole, is simplified to a truncated triangle in this model in keeping with its contemporary design. 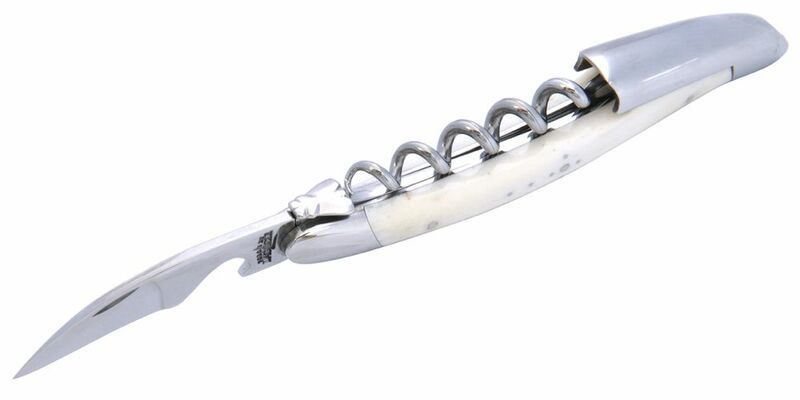 Forge de Laguiole SOMMELIER Bone has not been evaluated yet.